In conjunction with renow​ned author T.C. 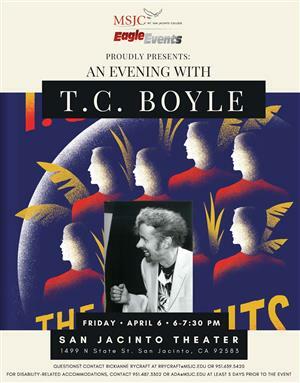 Boyle’s upcoming visit to MSJC, the English Department recently held a student writing contest. These five authors were selected winners from a pool of 39 submissions in the genres of prose fiction, poetry, and creative non-fiction. As a prize, they will share a meal with Mr. Boyle after his presentation next Friday evening.